Family game night is always a blast. We are very competitive around here so things can get a bit intense at times. However, at the end of the day it’s all about having fun, laughing and being together. 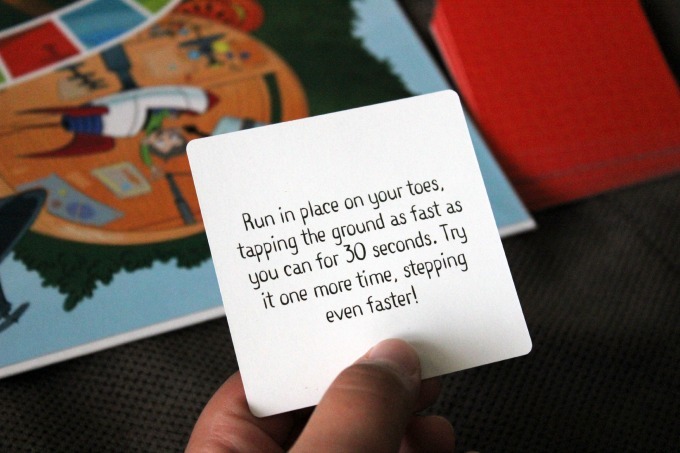 There’s a new board game called Q’s Race to the Top that I’m excited to share with you. It has become my son’s new favorite board game and I can totally see why! 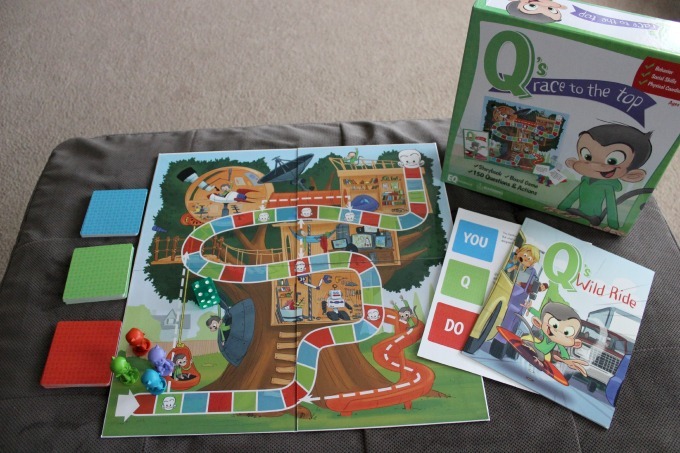 Created by EQtainment, Q’s Race to the Top is unlike other board games. 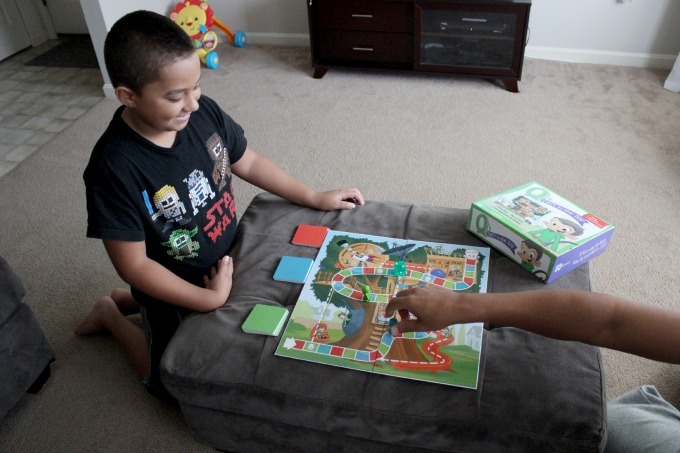 EQtainment helps kids practice emotional intelligence through fun and affordable games, storybooks, and videos. EQ, known as emotional intelligence, are important skills such as self control, motivation, empathy, and social skills. Research has shown that having these skills can help boost career success, relationship satisfaction, leadership skills, health, humor, and happiness. A game that’s fun and educational? Yes, please! The game has three sets of cards with questions or actions. The blue cards are You cards which focus on manners, positive behavior and creative thinking, just to name a few. 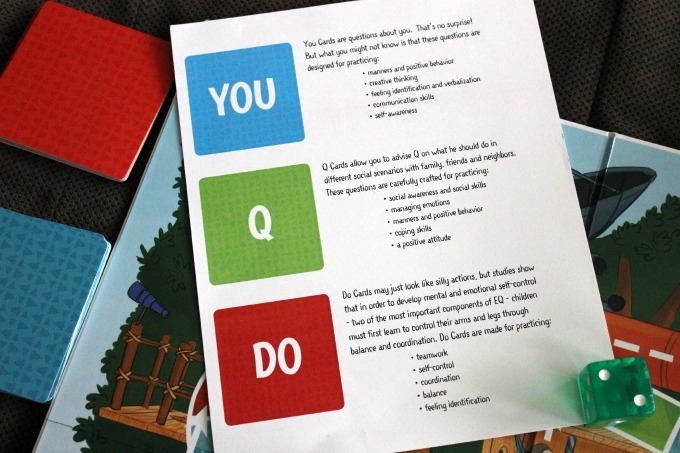 The green cards are Q cards which focus on social awareness and skills. Here the kids need to advise Q on what he should do in different scenarios. I was impressed when my son discussed how he would help a friend in need when answering one of the Q card questions. This momma was extremely proud. The red cards focus on self-control, teamwork, balance and coordination. Here’s an example of a red card my son picked during the game. 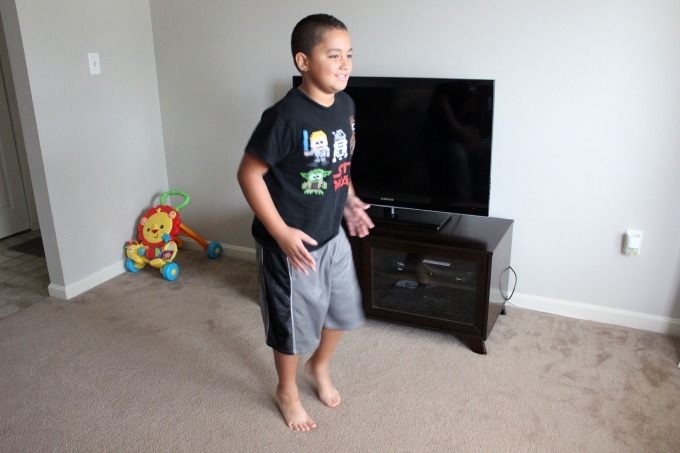 Love that it also gets kids up and moving! He laughed through the entire thing, but he never stopped and made sure he completed the task. I wasn’t kidding when I said we get pretty competitive around here! This game will make the perfect gift for any child. 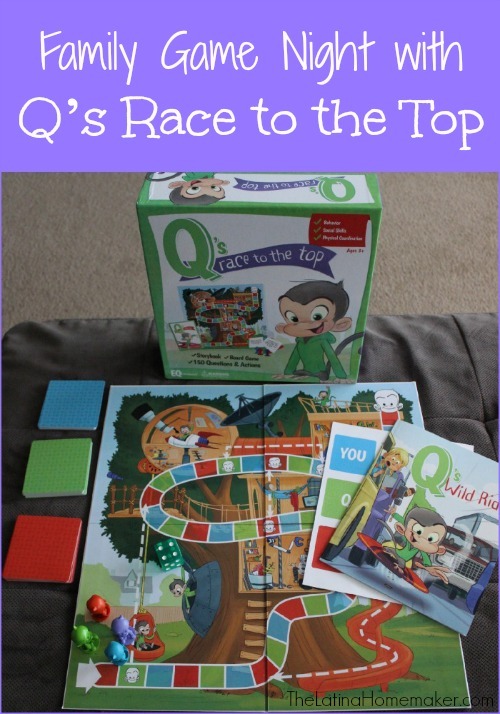 Q’s Race To The Top comes with everything you see here including Q’s Wild Ride storybook which gets kids thinking about other people’s emotions and to think before taking action. Make sure to check out EQtainment’s Kickstarter campaign going on right now! Find EQtainment on Facebook, Twitter, Instagram and Pinterest.